From inception through completion, Assets America® arranges financing for large, complex, multi-phased Master Planned Communities projects requiring an aggregate of $50 million to $500+ million and beyond. 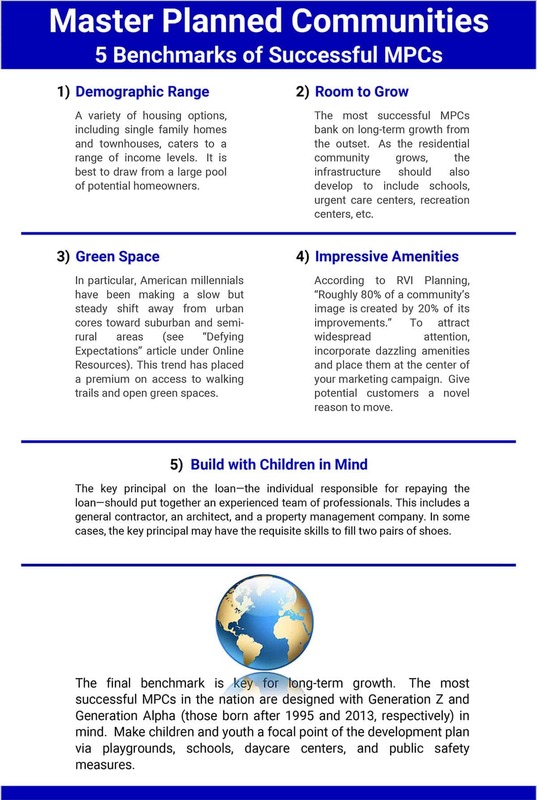 Master Planned Communities (“MPCs”) are large-scale, residential neighborhoods with numerous amenities. MPCs may include a combination of for-sale products (such as single-family residences, townhomes and condominiums) and may additionally include for-rent properties such as apartment buildings, retail shopping centers and other for-lease, commercial investment properties which the developer may hold long-term in his real estate portfolio. Master Planned Communities may also include walking parks, tennis facilities, golf facilities, recreation centers, swimming pools, ponds, lakes and other visually aesthetic water features, restaurants, shops, community centers and local community gathering places. Typically, a Master Planned Community occupies a minimum of 25 acres up to thousands of acres and provide many, if not most, of the resources needed by their residents so that the community becomes essentially self-contained. These additional MPC resources are extremely useful and very convenient for their residents. Master Planned Communities are a type of residential subdivision. However, MPCs differ from plain vanilla, residential subdivisions by the presence of a homeowners’ association (“HOA”) and by a greater number of on-premise amenities. HOAs are helpful for Master Planned Communities marketing because they ensure a high level of service and convenience and uniformity throughout the project. HOAs typically maintain the common areas and front yards and landscapes, and Master Planned Communities HOAs control design, signage, material and color options as well. Master Planned Communities: Location, location, location! How close to a metropolitan city, how far out in the suburbs, etc. Townhouses: Townhouses generally have two or more floors and share common walls. These units are often sold as condominiums, in which the owner owns just the interior of the unit and the condominium corporation owns the external structures and common areas. They also can be kept in the developer’s real estate owned portfolio and held as for-lease, investment property. Single Family Residences: These are typically detached homes that, along with the surrounding land, are sold by Master Planned Communities’ developers to the new resident/owner. In some cases, single family homes may have zero lot lines, meaning the residence is built to the lot line with little or no additional land. Multifamily Properties: These are typically large, apartment buildings. The multifamily buildings is setup as a “for rent” property with multiple floors. Retail Shopping Centers & Commercial Spaces: Commercial spaces and retail shopping centers are leased to store owners, offices and restaurants within the Master Planned Community. Such tenants may include dry cleaners, pizza restaurants, coffee shops and other such stores that would greatly aid in the convenience of the communities’ residents. Common Buildings: This category includes clubhouses, lodges, health centers and other buildings shared by all residents. 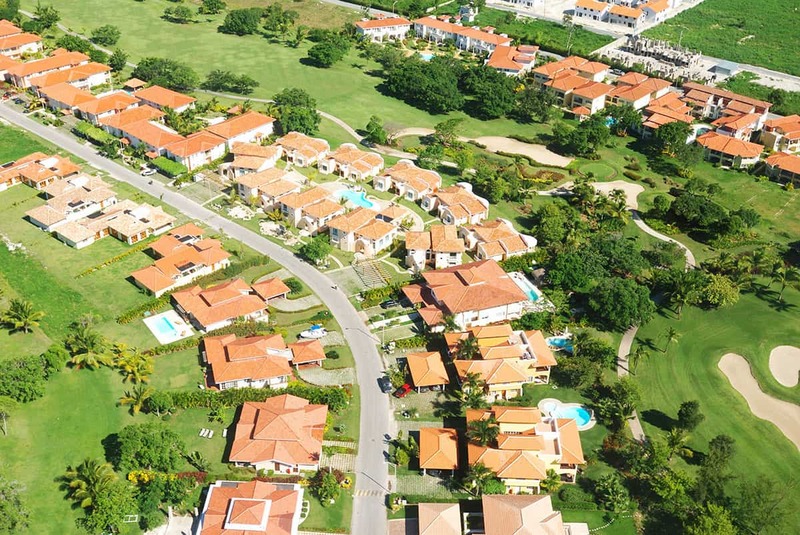 Segmentation is a smart play in Master Planned Communities because it diversifies risk between for-sale and for-rent (or for-lease) product that might behave differently when economic conditions change. It appeals to a wider customer base rather than just buyers of single family residences, townhomes or condos. Market supply and demand, economic conditions, interest rates and other factors change over time and can tip the balance toward ownership or rental within Master Planned Communities . Segmentation provides a way to benefit in either case, creating an economic, development buffer. An important way that Master Planned Communities appeal to buyers and renters is through a generous collection of in-demand amenities that enhance the lifestyles of their residents. Outdoor spaces offer many opportunities for amenities such as trails for walking, biking, horseback riding, hiking, jogging, dog parks, tennis courts, golf courses, soccer fields, baseball diamonds, outdoor pools, community gardens and so forth. Structures such as community centers, health clubs, business centers, lodges, and auditoriums provide ways to strengthen ties among residents that can reduce turnover and help support, stabilize and increase home prices and rents. Master Planned Communities often make arrangements to put stores and restaurants either directly on the property or within easy walking or driving distance. The Master Planned Communities’ construction phases may include commercial rental structures which serve as a source of rental income for the developers and can be held in their long-term investment portfolio while providing nearby amenities for residents. MPC management might also take an active role in programming events to entertain and educate residents. Upscale Master Planned Communities with more expensive properties may offer augmented security features, including gates, fences, guards, closed-circuit TV, card-keys and alarm systems. Senior Master Planned Communities typically restrict buyers and tenants to those who are aged 55 years and above. Master Planned Communities for Seniors frequently offer various degrees of health support, including a walk-in clinic, assisted living, home health services, nursing homes, Alzheimer’s support and hospice. Master Planned Communities For-Sale Properties: For-sale properties include single-family residences, townhomes, and condominiums. Master Planned Communities financing for these properties start with MPC construction loans, which typically run for 12 to 18 months, and are interest-only construction loans. Upon the closing of each of these individual property sales to homebuyers, sales proceeds are then used to pay down the Master Planned Communities construction loans through a financial vehicle known as a partial release. The partial releases allow the main MPC construction loan to stay in place during the sales cycle for that phase, while paying down the loan as each for-sale property is sold and closed. For the sake of convenience, lenders often set up revolving Master Planned Communities loan facilities that fund MPC multi-phased construction projects. Homeowners and condo owners secure their own residential mortgages to finance their purchases, thus eliminating the need for mini-perm or permanent Master Planned Community take-out loans. In multi-phased projects, Master Planned Community developers can pledge the land, the infrastructure and any unsold MPC phases to serve as collateral for subsequent MPC construction phases. Master Planned Communities Rental Properties: Master Planned Community construction loans pay for the development of MPC rental properties, with interest rates and terms similar to those on for-sale properties. However, once the for-rent property receives its Certificate of Occupancy, the developer will request and convert the Master Planned Community construction loan to an MPC mini-perm loan. After the for-rent MPC multifamily property or MPC retail shopping center property has reached stabilization (that is 90% to 95% leased for a minimum of 90 days), Assets America® can arrange for a commercial property take-out loan to pay off the Master Planned Community construction loan or MPC mini-perm loan. MPC mini-perm loans typically have terms from 18 to 30 months, at which point they are replaced with a Master Planned Communities take-out loan (permanent loan) to finance the rental property for a period of 5 to 30 years. Both types of post-construction loans are amortizing, though sometimes interest-only loans can be requested as well. 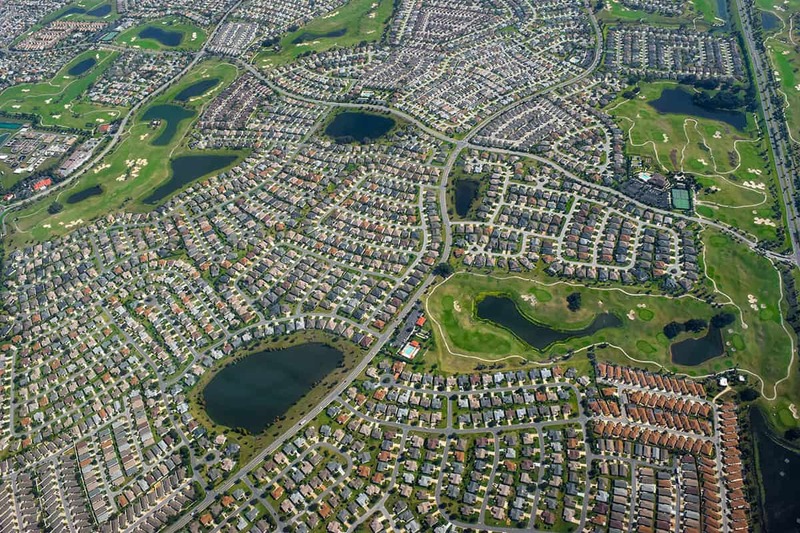 Defying Expectations for Master-Planned Communities is an illuminating article from Urban Land Magazine that predicts an upsurge MPC homeownership among millennial individuals and families. For a MPC forecast report, read Developing the Future in Master Planned Communities from Professional Builder Magazine. Watch the panel discussion Residential Product Innovation in Master-Planned Communities from Urban Land Magazine. For inspiration on the best retirement communities in the nation, read this article 6 Luxury Retirement Communities in the US. If you are interested in arranging financing for a large, Multi-Phased, Master Planned Community Project, we urge you to contact Assets America® for a detailed discussion. We’re confident that we can obtain excellent terms on the Master Planned Community funding you need, no matter how detailed and complex your request. Call (206) 622-3000 today!